How Long Do Baby Pimples Last? Home Article Baby Pimples How Long Do Pimples Last How Long Do Baby Pimples Last? How long do baby pimples last? This question often asked by many parents when finding pimples on their baby skin. Baby pimples usually make parents feel so worry. Seeing its appearance, pimples look like serious condition that give suffer to a baby. Is it true? Should parents bring their baby to a doctor to receive treatment for pimples? Find the answer below. 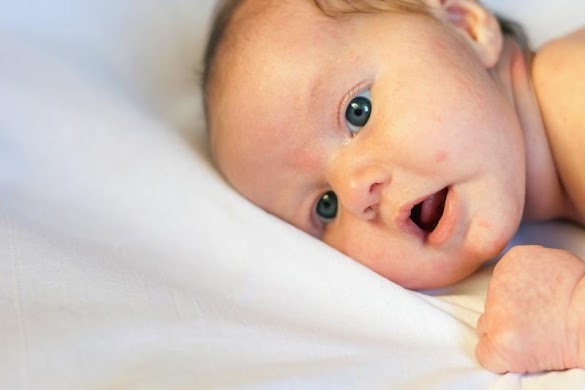 Baby usually experiences some skin problems because has sensitive skin. One of common skin problems experienced by baby is pimple. Pimple looks red and completed with little white spot. It may give uncomfortable feeling to a baby. But some experts said that baby pimples will not bother baby. Baby pimples will go away after attacked baby skin for several months. Actually, babies usually experience pimples when they areunder 6 months. About how long do baby pimples last, it usually lasts for about one month. But, it also depends on your baby skin condition. It can linger up to three months. So, you don’t have to worry when the pimples on your baby skin still appear for several months. If the pimples still appear after 3 months, you have to discuss with a doctor because the pimple may indicate other skin problem. Baby pimples caused by various factors, such as hormone, excess oil and bacteria. When hormone, excess oils and bacteria accumulate on baby skin, it will form pimples. So, always keep your baby skin. Make sure your baby skin always clean and not too moist. Baby pimple usually appears on face area, such as nose, cheek, forehead, and chin. But in some cases, baby pimples can also appear on bottom area. It may be caused by diaper too. From the explanation above, we know that baby pimples will go away after 1-3 months. During that time, make sure you don’t use specific medicine to get rid of baby pimples on your baby skin. As mentioned before, baby skin is so sensitive. Avoid using adult acne medication because it will not give a good result. It may lead to worst condition that makes your baby get suffer and painful irritation. To prevent worst condition of pimples, you have to clean your baby skin using warm water. It is done to make your baby skin always clean and doesn’t contain bacteria. When your baby skin is always clean, pimples will not attack your baby skin. Not only keep your baby skin, you have to care for the area where the pimples exist. Make sure you use a soft cloth to clean the area. Don’t press or rub pimples area because it may cause bad effect. You have to clean the area as gentle as you can. Well, those are some information for you about baby pimple and how long does it last. After reading the information about how long do baby pimples last above, hopefully you will not worry anymore whenever you find pimples on your baby skin.